Collaboration and interdisciplinary practice in the museum are on the rise. 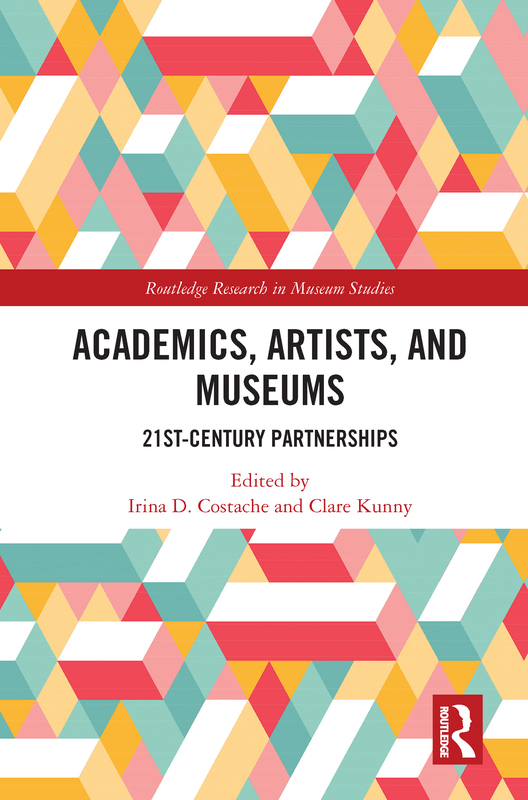 Academics, Artists, and Museums examines twenty-first century partnerships between the museum and higher education sectors, with a focus on art museums and exhibits. The edited volume offers detailed analysis of how innovative curatorial relationships between museums and academia have sought to engage new, younger, audiences through the collaborative transformation of museums and exhibitions. Thematic topics explored include the forming and nature of interdisciplinary partnerships, the integration of museum learning into higher education, audience engagement, and digital technology. With a particular emphasis on practice in the US, the range of projects discussed includes those at both widely recognized and lesser known institutions, from The Met to the Tohono O’odham Nation Cultural Center in the US, to Ewha University Museum in South Korea, and Palazzo Strozzi in Italy. The role of art and the work of the artist are firmly positioned at the core of many of the relationships explored. Academics, Artists, and Museums advocates for the museum as an experimental ‘laboratory’ where academia, art and the museum profession can combine to engage new audiences. It is a useful resource for museum professionals, artists, scholars, and students interested in collaboration and innovative practice.